The Architecture Lobby—an organization that advocates for architectural workers and for the value of architecture in the general public—has issued a call to for architects to resist the Department of Homeland Security’s recent presolicitation announcement pertaining to the proposed United States-Mexico border wall project. Architecture and engineering firm Leo A Daly was one of the biggest names on the Federal Business Opportunities’ (FBO) preliminary solicitation vendors list, as of Monday, however, since the listing was publicized, its name can now no longer be found there. The Architect’s Newspaper today (3/6) learned that Leo A Daly’s inclusion on the FBO’s vendors list was accidental. A marketing spokesperson for the firm stated while the firm does do security work (such as the Anzalduas Port of Entry in Texas), the listing on the FBO’s website was a mistake. Leo A Daly is not interested in working on the U.S.-Mexico border wall project. Meanwhile, concrete construction firm LafargeHolcim can now be found on the list. The Swiss-French company is America’s top cement producer and is primed to rake in a hefty reward if and when Trump’s wall goes ahead. The company is also involved in further controversy in the Middle East having recently admitted to “unacceptable” activity in Syra as it paid third parties for help with armed groups around a plant. New York firm Victoria Benatar ARCHITECT PLLC is also listed as an interested vendor on the FBO. The Architecture Lobby’s call follows. For more information, see the Architecture Lobby website. The Architecture Lobby, an organization of architectural workers, calls for a national day of action in opposition to the building of the southwestern border wall proposed by the Trump administration and the Department of Homeland Security. While there are innumerable reasons to stand against the immigration policies of the current administration and this project specifically, this call is motivated by the belief that the fields of architecture, and engineering are fundamentally rooted in a goal to improve our societies by producing structures that render them more just, more equitable, and more beautiful. The southwestern border wall stands in clear and direct opposition to this goal. By participating in this day of action, architects and engineers will make clear not only to the current and future administrations, but also to themselves and each other, that their agency will not be exploited in the service of xenophobia, discrimination, and racism. These concerns have taken on a renewed urgency. 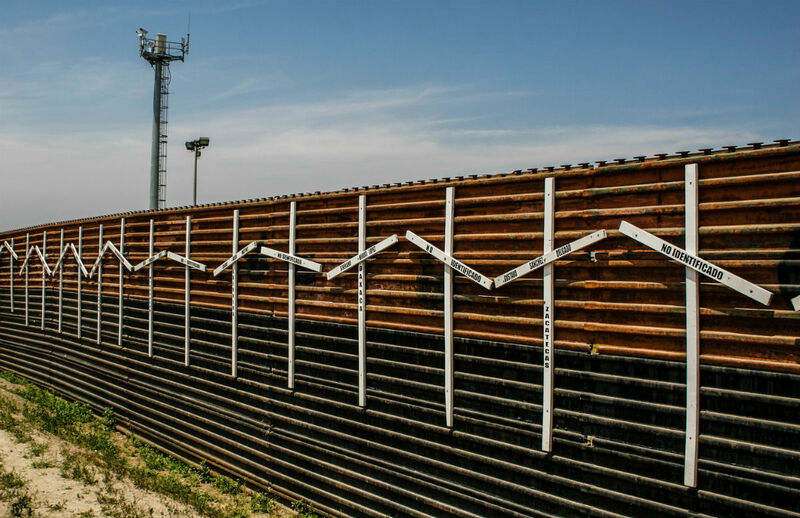 The Department of Homeland Security (DHS) recently released a Request for Proposals (RFP) for southwestern border wall (SBW) prototypes to begin the bidding phase of new border wall construction. The proposal is lightning-fast, with the first round of submissions due on March 10th followed by a full proposal from those shortlisted due on March 24th. A design team for the SBW will be selected by mid-April. The DHS site has made public a list of interested vendors that might be good targets for organizing, although we believe most of them to be subcontractors looking to get work after the project has been awarded, and that the largest companies pursuing the project have not listed themselves. We are calling for a 45 minute united action for architects and engineers to leave their desks and walk out to demonstrate our power to withhold our individual agency. The goal of this Day of Action is to encourage a grassroots resistance to this project from and within architecture and engineering companies across the country, coinciding with the closure of the first round of RFPs for the DHS SBW. Additionally we have listed some suggestions and tips on a second page for possible further actions. Take the fight to who you can, where you can, how you can. After the Day of Action, we want to hear back. What were the successes, failures, and potential paths forward for us from here? Send reports, photos, statements of support and boycott as a firm or as an individual, and summaries to notourwall@architecture-lobby.org. Note if you would like to anonymize your information or altogether refrain from posting it publicly. We’ll publicize the information on our website. This the first of many steps toward building the solidarity that will make it possible to organize actions against whichever companies make the shortlist after the 10th and are awarded the bid in April.